When will be Premier League Behind the Badge: Crystal Palace FC next episode air date? Is Premier League Behind the Badge: Crystal Palace FC renewed or cancelled? Where to countdown Premier League Behind the Badge: Crystal Palace FC air dates? Is Premier League Behind the Badge: Crystal Palace FC worth watching? In an unprecedented mid-season look behind-the-scenes at a Premier League club, NBCSN debuts "Premier League Behind the Badge: Crystal Palace FC", Sunday, Jan. 17, at 2 p.m. ET. The four-part series will present viewers with a rare all-access look at the Eagles' work on and off the pitch midway through their best-ever Premier League campaign. Voiced by BBC presenter and former English footballer Gary Lineker, the series follows an intriguing mix of ownership, players, coaches, and support staff, chronicling their daily lives and routines. 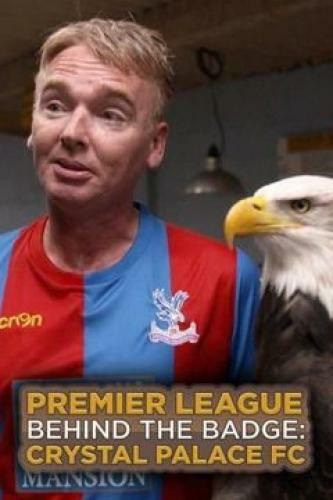 Premier League Behind the Badge: Crystal Palace FC next episode air date provides TVMaze for you. EpisoDate.com is your TV show guide to Countdown Premier League Behind the Badge: Crystal Palace FC Episode Air Dates and to stay in touch with Premier League Behind the Badge: Crystal Palace FC next episode Air Date and your others favorite TV Shows. Add the shows you like to a "Watchlist" and let the site take it from there.